2017 features redesigned mandrel bent chassis rails and engine support rails. 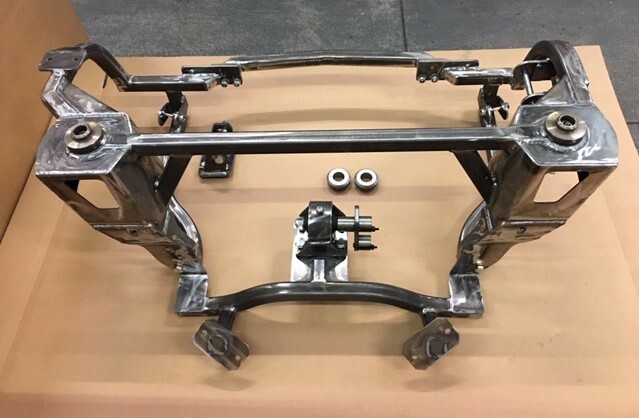 2019 March on features further aesthetic enhancements to the b series vtec subframe. 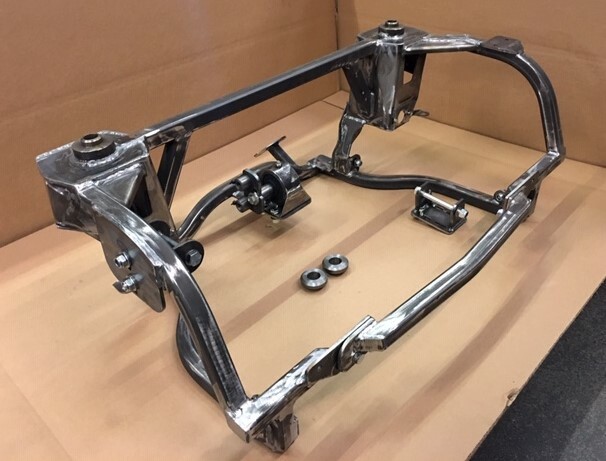 As with every Allspeed subframe, the product is all new material manufactured by ourselves. Every subframe has gone through an extensive design and fea stress analysis progamme. 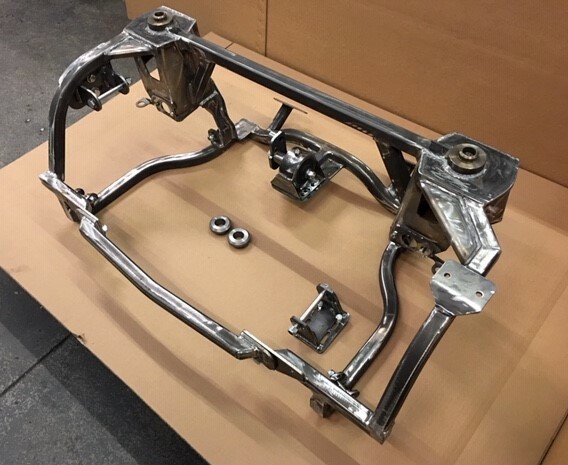 Our subframes are not to be confused or compared with cut and shut 'a' series subframes or reverse engineered products. The Allspeed product is the original and designed from the outset for the application and manufactured to the highest standards. 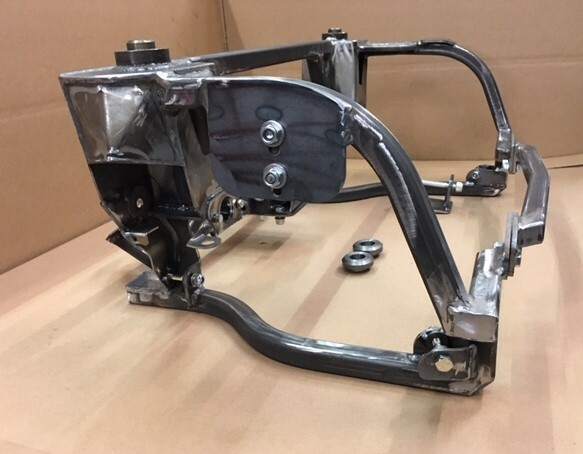 The frame is all brand new and uses the standard b16a2/c6 top mounts with a bespoke rear mount included with the frame. 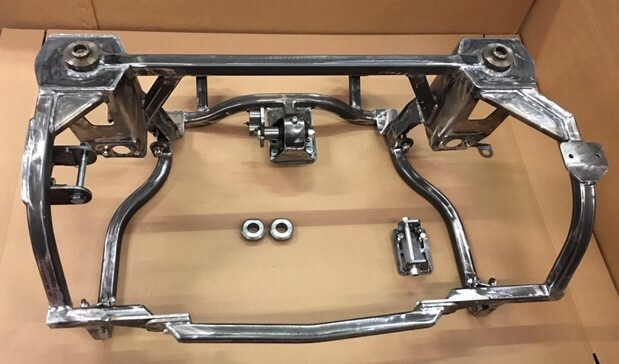 It is designed for the b16a2 and although the design offers flexibility for mounting other engines will only guarantee fitment of the b16a2.As with all our frames the b16a2 frame can use the rubber donut/coil spring replacement or coilovers, and all with standard track and wheel base.The frame and engine/gearbox assembly will fit a standard round nose but room for an adequate size radiator and good flowing exhaust manifold will be a challenge to overcome. If attempting fitment into a standard round nose would also recommend a flip front as the size of the engine/gearbox assembly will be extremely tight to fit through the bonnet opening.Use of the standard injection phlenum and ecu will require bulkhead mods, these can be minimised by cutting angling upwards and rewelding the inlet manifold. Use of itb throttle injection can be done without bulkhead mods. *Choice of front x member suitable for either standard round nose front or clubman/extended round nose. Pictures show standard round nose x member in place. *various basic fasteners for mounting engine in subframe etc. *2014 on subframe features improved radiator clearance, particularly usefull in standard length round nose applications. *2017 features redesigned mandrel bent chassis rails and engine support rails. *2019 features further aesthetic improvements. *Suitable for right hand drive and left hand drive. 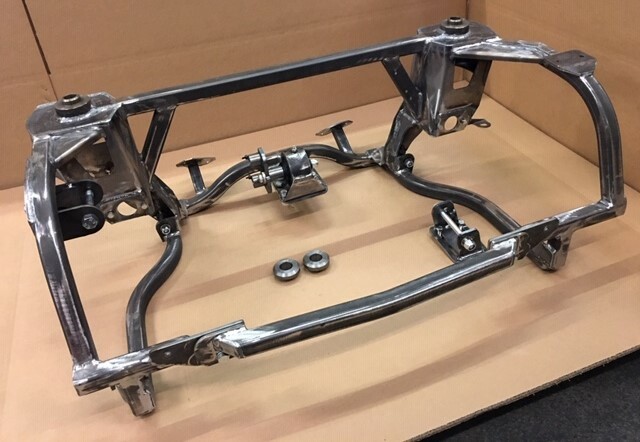 *Subframe is now only available in mild steel/self colour/unpainted.